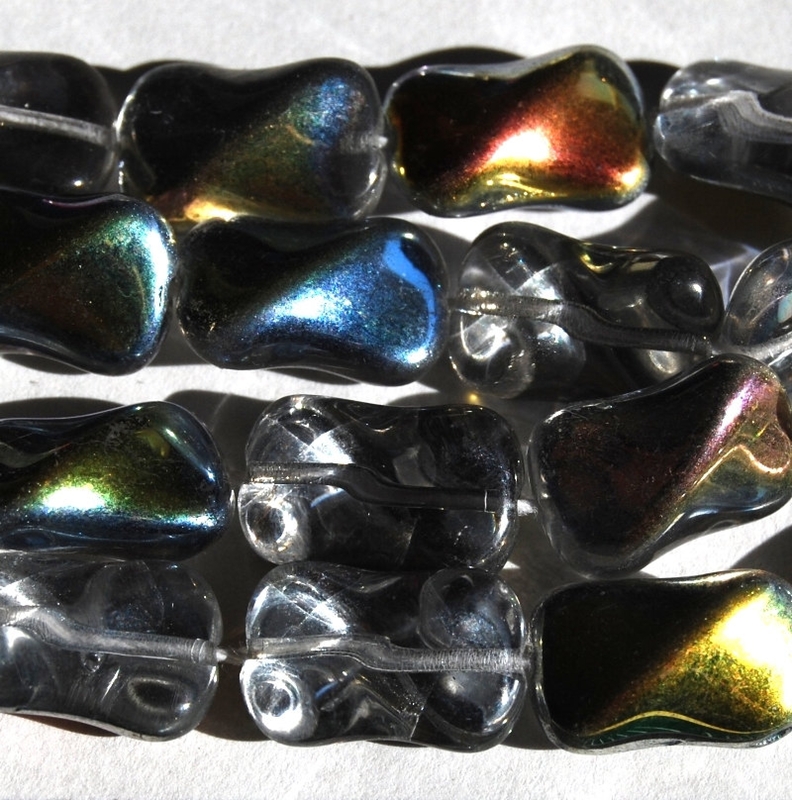 A most unusual bead: a flat clear glass twist bead with one side coated with multi-color vitrail. 14.5x9.5x6.5mm. 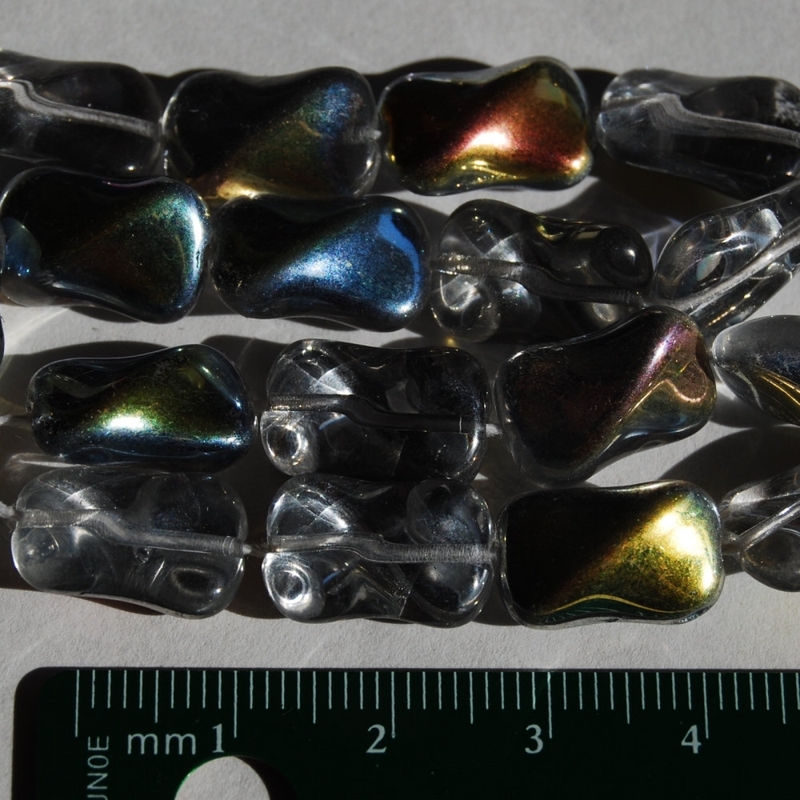 You will receive 6 random beads from those shown. Please allow for variations in the way computer screens display color.